The Editors welcome contributions to Picture of the Month. Submissions should describe common problems presenting uncommonly, rather than total zebras. 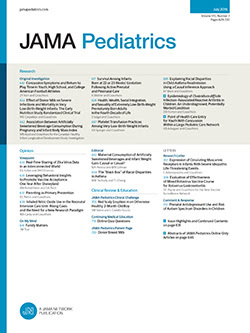 Cases should be of interest to practicing pediatricians, highlighting problems that they are likely to at least occasionally encounter in the office or hospital setting. High-quality clinical images (in either 35-mm slide or electronic format) along with parent or patient permission to use these images must accompany the submission. The entire discussion should comprise no more than 750 words. Articles and photographs accepted for publication will bear the contributor’s name. There is no charge for reproduction and printing of color illustrations. For details regarding electronic submission, please see: http://archpedi.ama-assn.org.